BET’s approach to teaching and learning is innovative and immersive – a rich blend of the latest education thinking, technology and practice both in and outside the classroom. We set the highest expectations for ourselves and our students, and this is reflected in our results and Ofsted progress. 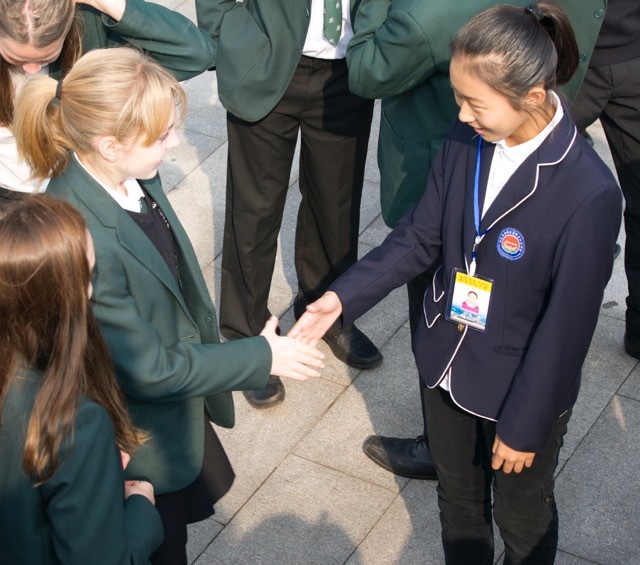 Across all our schools, we have introduced a range of game-changing teaching methods, including language immersion in Mandarin, cross-cultural projects with Sweden, China and Germany, and an integrated Science, Technology, Engineering and Maths (STEM) curriculum developed in partnership with business and industry. For the last three years Bohunt Education Trust has had a close partnership with Lin Education, an innovative, bold, exciting company in Sweden that works on digital learning projects and system improvement within the education sector. The two organisations have created incredible professional development events that are ambitious in their scale and creative in their approach. Pop-Up School and Pop-In School have created amazing opportunities for the Swedish teachers, but also for students and staff from across the Trust. Our students have been able to influence teaching, discuss their vision for education and explain BET’s approach – they have been able to live the role of game-changers for international education. The next step for the two companies is to work together on impactful digital content linked to BET philosophies, systems and processes. Armed with an Apple Distinguished Educator, immersion languages students, an innovative approach, a small capital budget and a number of iPads, Bohunt has been waging a war against boring teaching, glass ceilings and poor use of technology. Guided Learning, walls you can write on, an iPad Band Room, science environments that are ideal for practical work and much more have come out of the five year project. Along the way students have presented at Global Conferences in London, staff have talked around the world, the iPad band has performed live on stage many times in London to thousands… they even had Sir Bob Geldof as a warm up act one year and were congratulated by Guns n’ Roses on their rendition of Sweet Child of Mine. Most importantly though, students have been able to enjoy their learning and achieve highly because of the challenge, differentiation and removal of barriers that comes from the smart use of technology as tools for learning. With plans to open a school in China, BET has a truly international outlook, with ambitions to expand into other dynamic, emerging countries overseas. Research programmes with the University of Kent and the University of Lancaster are looking at how we can make our major expeditions, to countries such as Kyrgyzstan and Greenland, even more efficacious.